Hello, friends, and welcome to this week's Grace at Home party! I hope you've had a good week. I know that many of you were affected by Hurricane Irma this past week, and I want you to know we've all been praying for you. Here are some links from last week's party I thought you might enjoy. 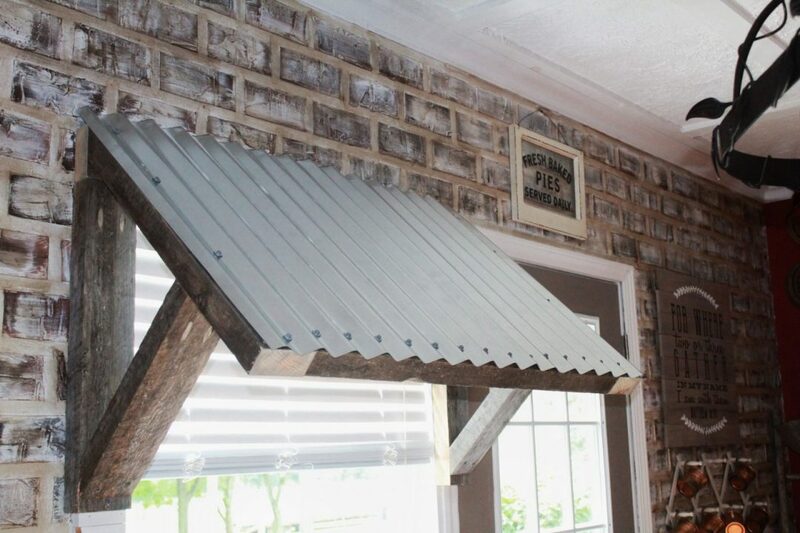 Hayden from Two Paws Farmhouse created this corrugated metal awning in lieu of curtains for her kitchen window. Isn't it smashing? 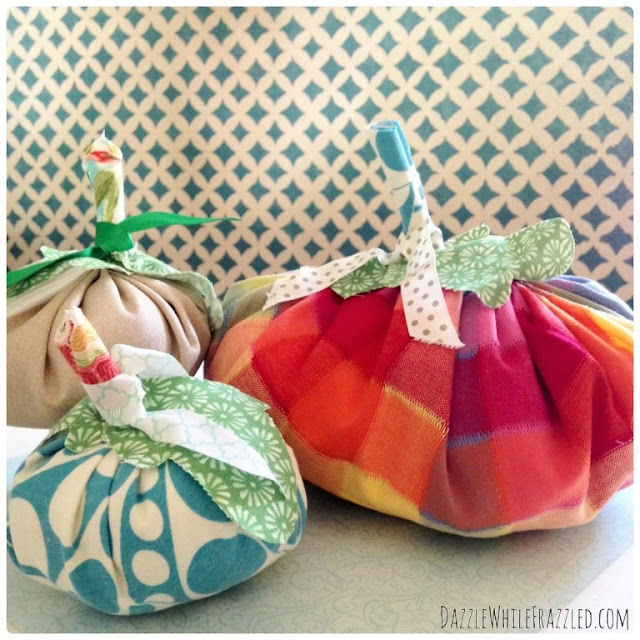 Angela from Simply Beautiful made over some foam pumpkins from the dollar store to create these fabulous fall decorations. For a fun fall look, Victoria from Dazzle while Frazzled crafted some colorful pumpkins from fabric scraps. If you're looking for a good pound cake recipe, Marilyn from Marilyn's Treats has you covered. 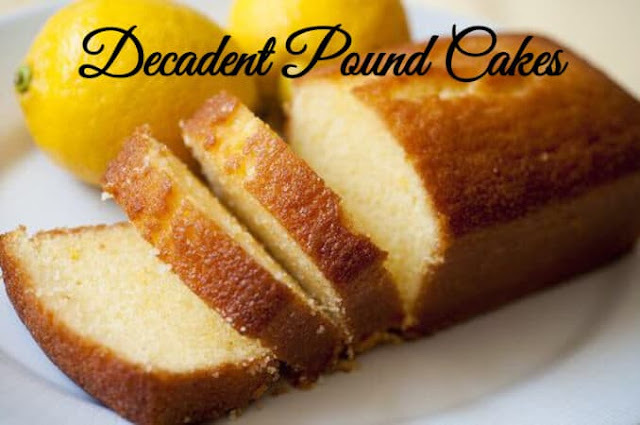 She shares 10 decadent pound cake recipes. If you're in need of a good laugh, you need to read "A Chipmunk, a Cardinal, and So Many Rats" from Karmen at Chairs from the Curb. Hilarious! And if you're in need of some calming for your soul, you'll appreciate "Anxious for No Thing" from Michelle Bengtson at Hope Prevails. So many great features, and I've seen that pound cake post from sweet Marilyn here, there and everywhere, and I know from reading it myself that it's a winner! 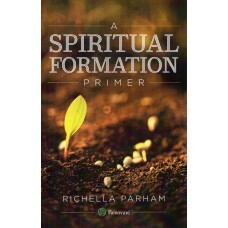 Thank you so much, Richella, for hosting. I've been MIA for awhile, and it feels so good to be back...I have a lot of catching up to do! Thank you so much for the party Richella! Thank you for featuring my Poubd Cakes. Thank you for hosting. There is so much inspiration here! Have a great week. First time here! Thanks for a great party--following on Instagram and Pinterest! I would have never thought to paint over those dollar pumpkins!! I'm seeing halloween decor in a whole new light now! Thanks for hosting and hope you are well Richella! I listened to your podcast interview with Nathan at Renovare yesterday and enjoyed it so much! I had no idea you were associated with them. I love those podcasts!